The VELUX EHF Champions League has a new charity partner for the coming season thanks to an agreement with Plan International, a charity helping children in developing countries. The cooperation between EHF Marketing GmbH and Plan International will see the charity receive extensive TV exposure through on-court advertising (centre circle) as well as online and on media backdrops throughout the season. The VELUX EHF Champions League will further support the work of the charity by sponsoring a child in Brazil through the ‘Kinder brauchen Fans!’ (Children need fans!) campaign. Europe’s premier club handball competition will join other sports stars, clubs and federations in the initiative to highlight the problems faced by children in developing countries. The first joint initiative between the VELUX EHF Champions League and Plan International will take place on 20 September to mark World Children's Day (Germany/Austria) and to support children’s rights worldwide. Plan International is an independent organisation, with no religious, political or governmental affiliations. 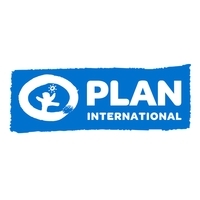 Plan stands up for children’s rights worldwide and strives to be open, accountable and honest in what Plan does. Plan has been working for 80 years to tackle poverty, violence and injustice. In more than 70 countries, girls and boys are encouraged to actively shape their future. The main objective is to achieve sustainable change and to enhance the living conditions of the people in the partner countries. When disasters or conflict threatens their lives and well-being, Plan is quick to respond. The United Nations Sustainable Development Goals encourages Plan to continue strengthening girls and women and promote gender equality. The global movement Because I am a Girl is dedicated to ensuring justice and equality for all girls and young women. More information can be found at: https://plan-international.org/. EHF Marketing GmbH is the marketing arm and a subsidiary of the European Handball Federation and has its headquarters in Vienna, Austria. The company works closely with marketing and media partners, as well as the leading professional handball clubs in Europe to realise the full potential of the sport on the international sports market. EHF Marketing GmbH manages the marketing and media rights of club competitions including the VELUX EHF Champions League, Women’s EHF Champions League and the Men’s EHF Cup. Its responsibilities also extend to the organisation of major international sports events including the VELUX EHF FINAL4 and WOMEN’S EHF FINAL4. Further information can be found at: eurohandball.com and ehfCL.com.